Christopher Norwood J.D., is on the editorial board of The International Review of African American Art and is the Principal of Norwood Consulting. Mr. Norwood has 25 years experience working with Human Service Agencies as a Consultant, Board Member, Employee and Volunteer. He is a graduate of Hampton University in Hampton, Virginia where he studied Social Work & Community Organization (1995). Mr. Norwood pursued a Masters of Public Administration at Cornell University's Institute for Public Affairs (1995-1997) and his Juris Doctorate from St. Thomas University School of Law (2002). Mr. Norwood is a community organizer, passionately involved but strategically focused. His network ranges across the spectrum of human services. His involvement is particularly strong in Children's Issues and Development. He is a founding Board Member of Florida Memorial University's Social Work Program. He is the Past Chair of the Council on the Social Status of Black Men and Boys (Appointed by Former Speaker Marco Rubio of the Florida House of Representatives in 2007). He is a member of Miami-Dade Public Schools' Audit and Budget Committee and City of Miami's Education Advisory Board. He is the Founder of the Florida Association of Independent Public Schools and the Governance Institute for School Accountability. Imani Greene is the Founder and President of GreeneGroup, an independent consultancy that designs paid, owned and earned media solutions to business challenges. Imani has extensive expertise, and over the last two decades she has designed/managed campaigns at such global firms as Ogilvy, McCann-Erickson, Mindshare Worldwide, Meredith and Saatchi & Saatchi. At GreeneGroup, Imani designs campaigns for public, private and not-for-profit brands that support behavioral change and drive tangible outcomes. Imani currently sits on the Boards of Directors of the National Press Foundation, Dress For Success Washington DC, Partnership for a Healthier America and is a member of Leadership Greater Washington. 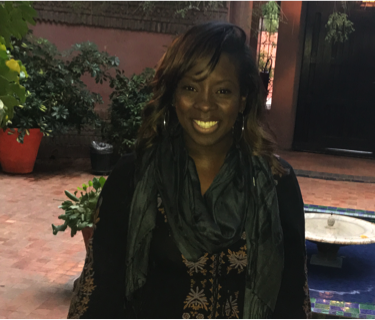 Imani’s personal passion is supporting workforce readiness for at-risk youths and she founded a non-profit organization, called EveryDay Inspirations that connects inner-city teen mothers with women who may serve as beacons of inspiration to them. Darryl L Neverson is the co-founder of Harlem Professionals, Inc (HPI) and HPI Films. HPI films, is a Harlem based production company that produces relevant, thought provoking stories to entertain and inspire all audiences. It specializes in the conception, design and development of film, television and live events. Among Darryl’s most many respected productions are The Real Rucker Park Legends and #Rucker50, an award winning film that delivers a celebratory explosion of basketball history makers, legend shakers and lawbreakers; juxtaposed against important events in Civil & Human Rights.